One of the most popular products from Illamasqua are definitely blushes. In particular Hussy and Lover dominated the field and thanks to my boyfriend he knew exactly which colors to choose. 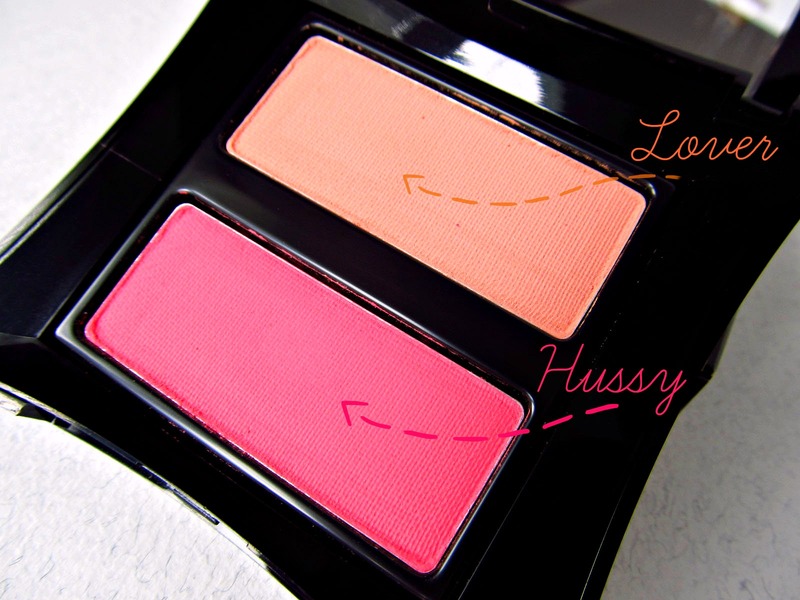 Illamasqua Blusher Duo comes with two different blush colors which are complimentary. 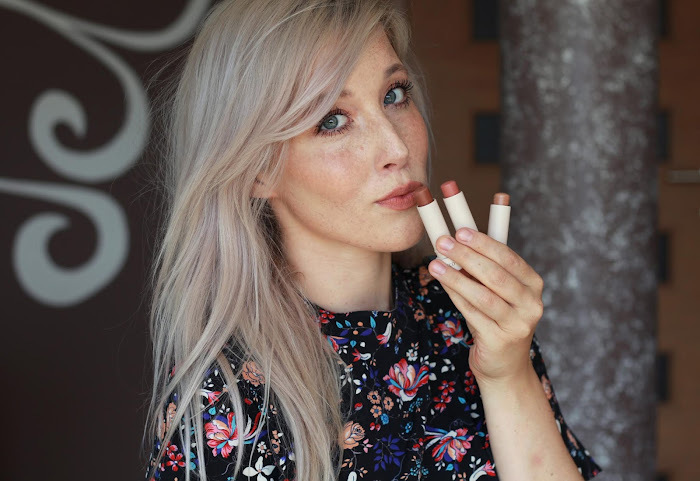 Texture and pigmentation is the same quality as with single blush colors. The actual packaging is a bit bulky but comes with a mirror. 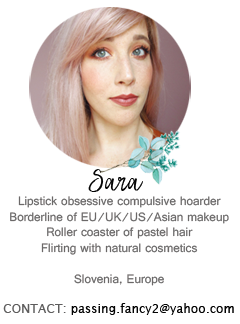 Hussy is a wonderful warm toned pink that would suit almost any skintone. Lover is on the orange-peachy side. It's a light orange which can be also worn on fair skin. 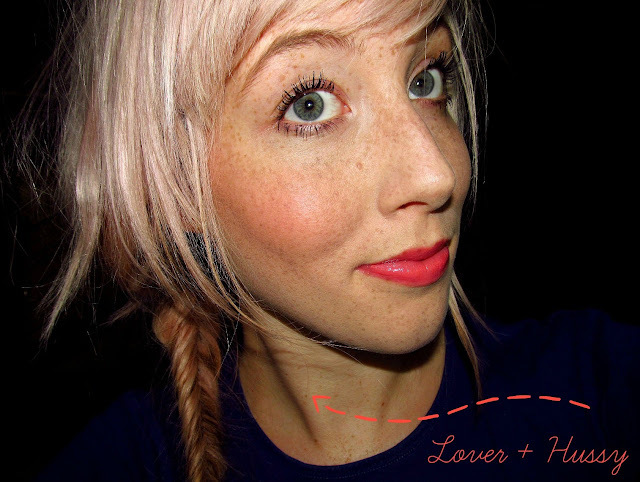 Mixed together they create a perfect peachy-pink matte blusher. Pigmentation is outstanding yet they are super soft to easily blend them out. Longevity is actually great too - stays on the entire day. These will probably last me my entire lifetime since I need only a tinge of each. You can also see me wearing Hussy on my previous posts here and Lover here. If you're eyeing both of these blushers you should check out the Duo since the price is a bit lower. 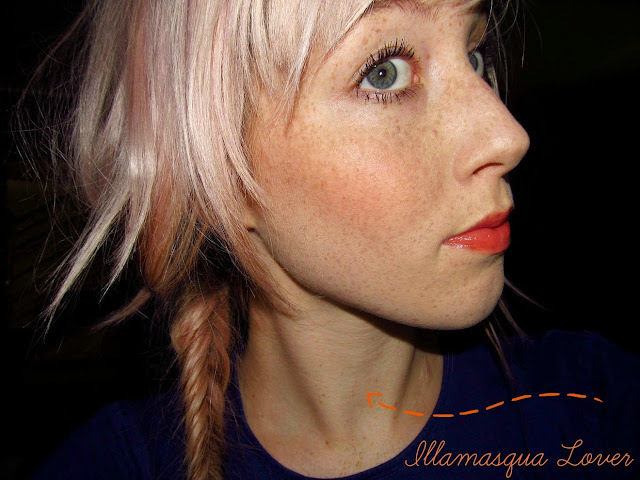 I also reviewed Illamasqua Katie blush here. Blusher Duo are priced for 31€ and single blush is 22€. You can get Illamasqua products on their official website here or at local Illamasqua stands. I would highly suggest you to try out one of their blushes and you'll be smitten for life. Illamasqua's soft and blendable texture is top notch! Bi se kar strinjala z zgornjim komentarjem, samo meni iskreno precej draga. Sploh ker nimam problemov z obstojnostjo ali kaj takega. Really pretty blushers. I love how smooth and matte it looks, the formula must feel so nice! Wau res sta lepa. še posebej ti pašeta mešanica in Lover :) meni se zdi ok včasih dat za kak blush mal več denarja, ker se itak ful počasi porabljajo. Pa po mojih izkušnjah so mehkejši in bolj pigmentirani. You have thee nicest skin! Looks so good on you! I love the two of them mixed together, but they are both beautiful! I am new at your blog, and I have to say that this two colours are so pretty. They go amazing with your skin tone. I was going to pick up this duo but i ended up with the katie & ambition duo instead, ps how bloody amazing is your skin! gorgeous! Oh, I want to try that duo too but already have Katie :) Thank you, I kind of hate my skin. Love this!! How pretty are those colours! Also I love your skin, wish I had those freckles! I really want to try some Illamasqua products! The blushes look great! I have this duo and it's gorgeous. Totally agree the packaging is bulky. Both colours really suit you, look lovely!